Millions of women across the Arab world have taken part in street protests and strikes over the past three years. They have led marches to claim their constitutional rights, organised sit-ins to win better pay and conditions, faced down armed police and organised to challenge sexual harassers in the streets. 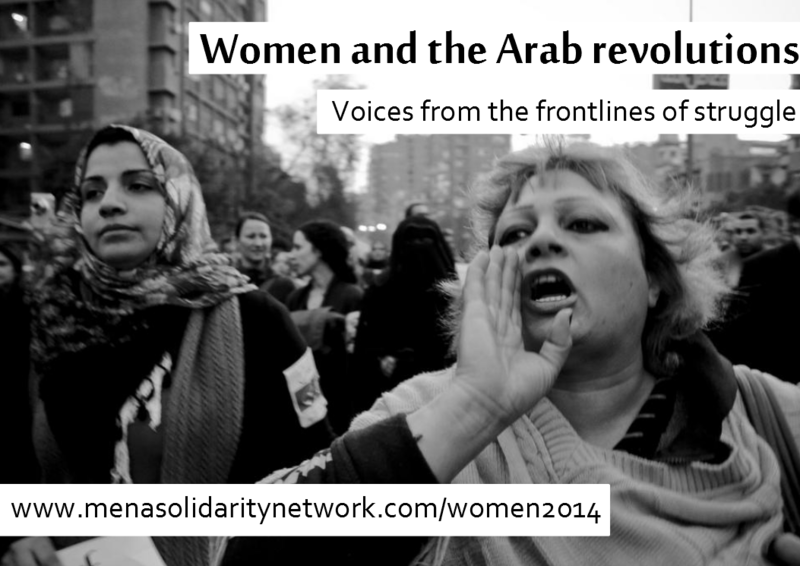 MENA Solidarity Network is compiling a collection of interviews and articles from women activists across the Arab world. It will explore the relationship between women’s fight for liberation from oppression and their role in leading struggles from below for social and political change. We will be asking women from Yemen, Morocco, Egypt, Lebanon, Bahrain, Syria and Tunisia to share their experiences of revolution with us. We need your help to compile questions and ideas for our interviews. Please use the form below to send us your suggestions, and help us spread the word about the project by circulating the information about the project through your trade union or organisation.